Ants – a common problem. They’d go for anything, anywhere once they have invaded your home. One might think that splashing out $200 or even more by calling a pest service would help. But did you know that there’s a trick available, and only costs $2 approximately? Apparently, you can kill ants with the following ingredients: A cup of warm water, One cup of sugar and Two tablespoons of Borax! 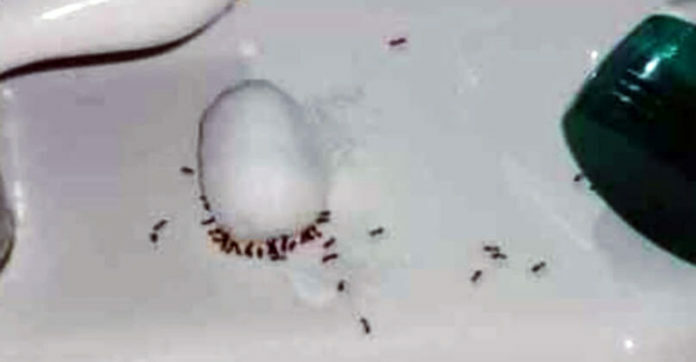 Just mix them all together, soak cotton balls into the mixture and place the cotton balls in whichever corners ants have nested themselves in your home. The ants would be attracted by the sugar but killed off by the Borax powder! Take a look at the news report below! Now your ant-infested home wouldn’t need the services of your local pest control!